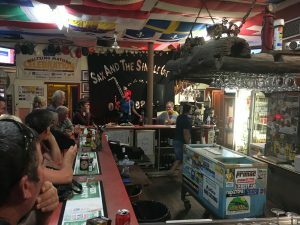 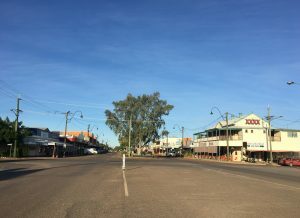 It's OK to have a favourite pub in every outback town. 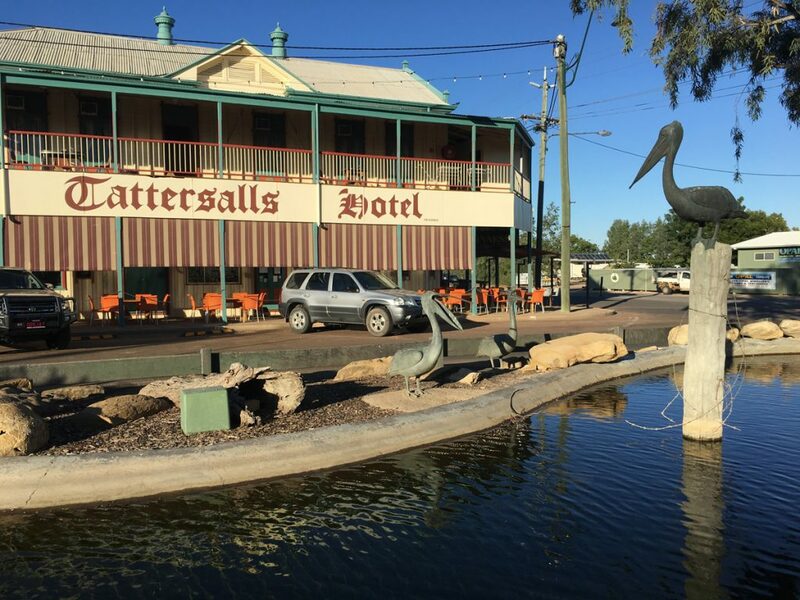 In Winton, mine is Tattersalls. 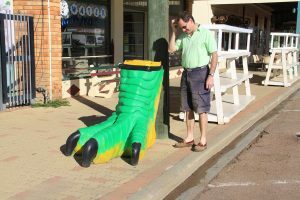 If I was looking for a more iconic photo, I couldn't if I tried. 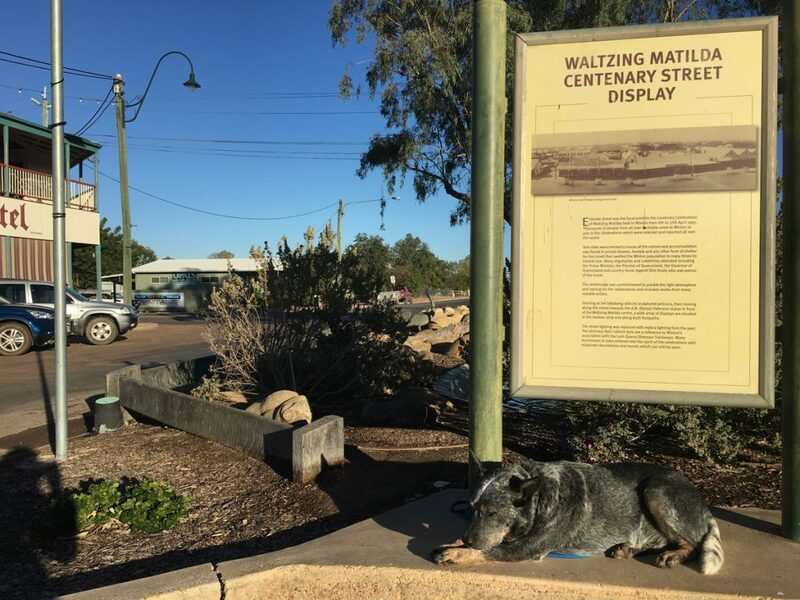 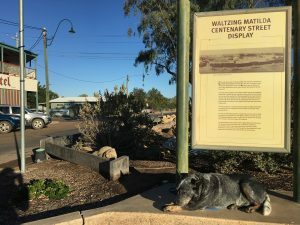 A sleepy blue heeler under the Waltzing Matilda in the main street says it all really. 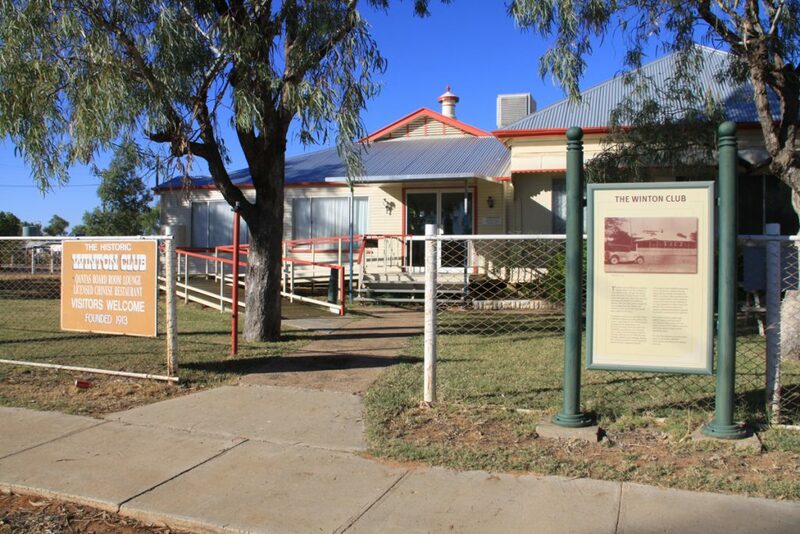 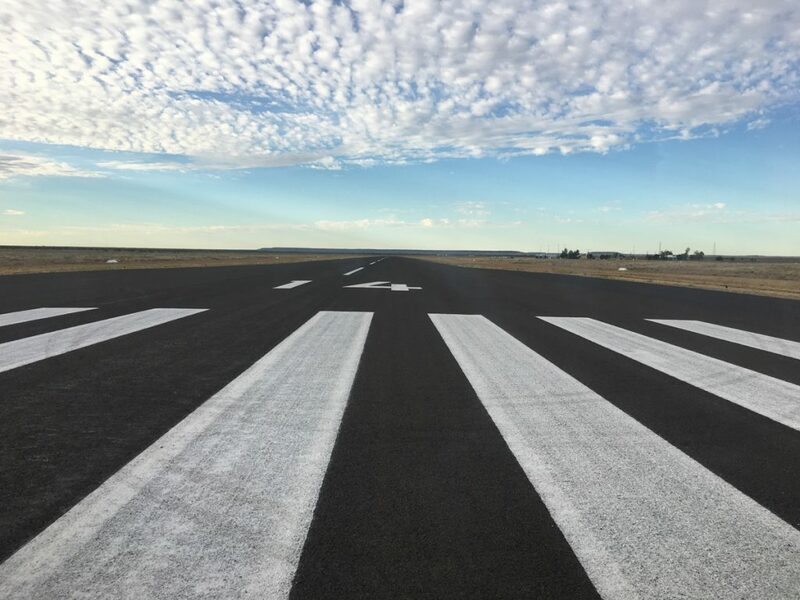 A wander around town will lead you to the real reason people say Winton is on the map ... the birthplace of Qantas. 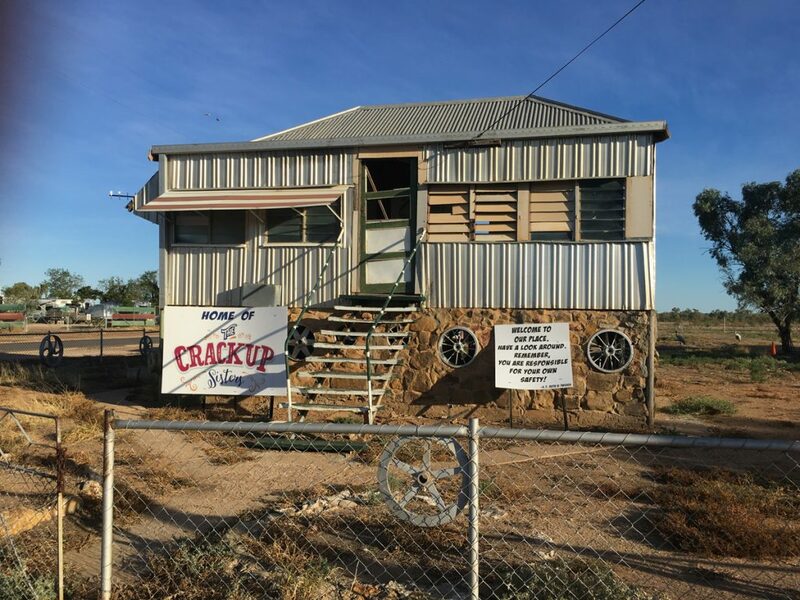 See, that's why I love outback towns. You can't take your time with a photo in the middle of the main street in Sydney. 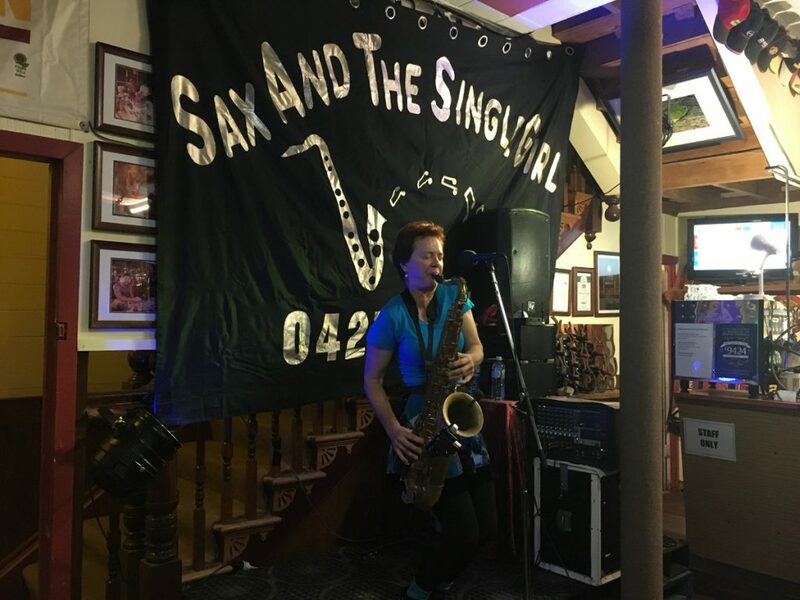 Back inside Tattersalls, locals and tourists are being treated to Sax & the Single Girl - the outback's best sax player bar none! 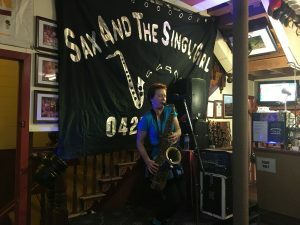 When she's not on tour, Anne Bavin cranks out the tunes in the front bar of Tattersalls most nights of the week during June & July.. 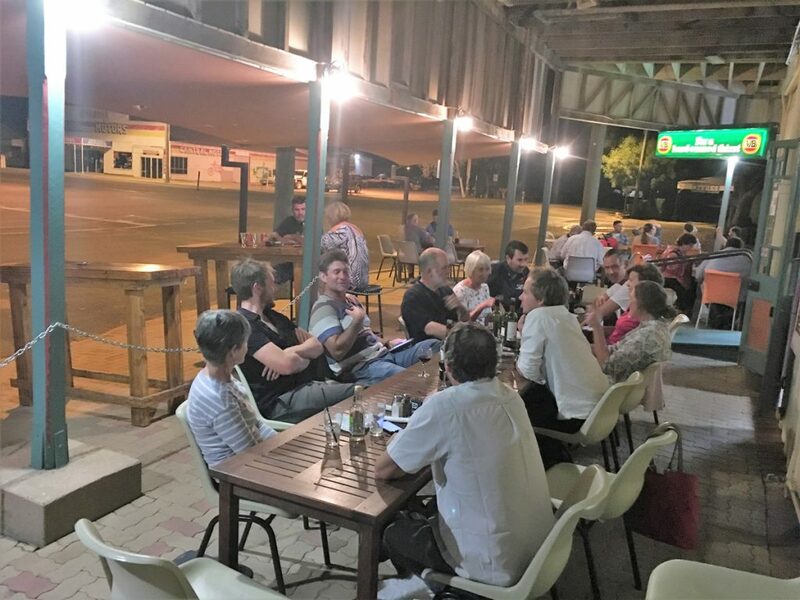 Dining streetside at Tattersalls is a highlight on our safaris. Legendary steaks, always a fantastic night. 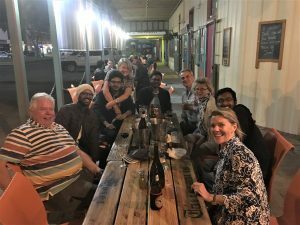 One year we met a crew of young film makers from India visiting for the annual Vision Splendour film festival. Leave some time next morning to walk around town. 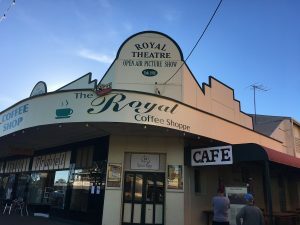 You won't need much. 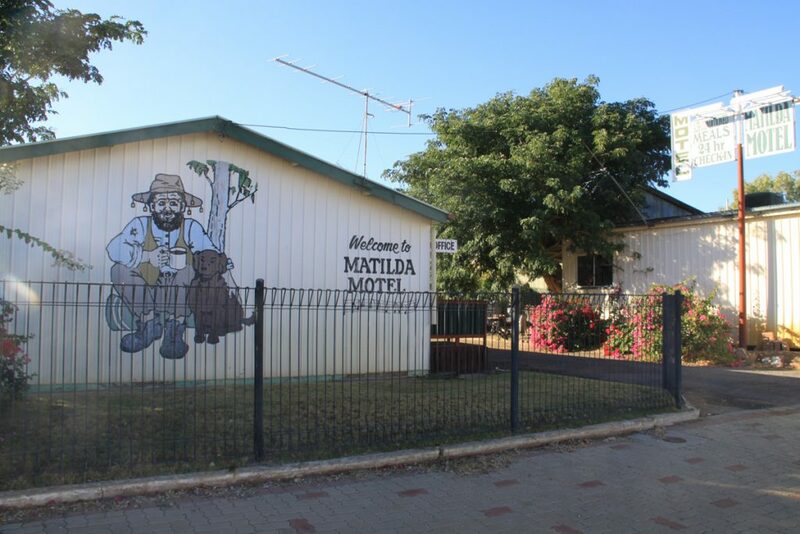 Our accommodation of choice is the Matilda Motel. Just go. Superb hospitality. 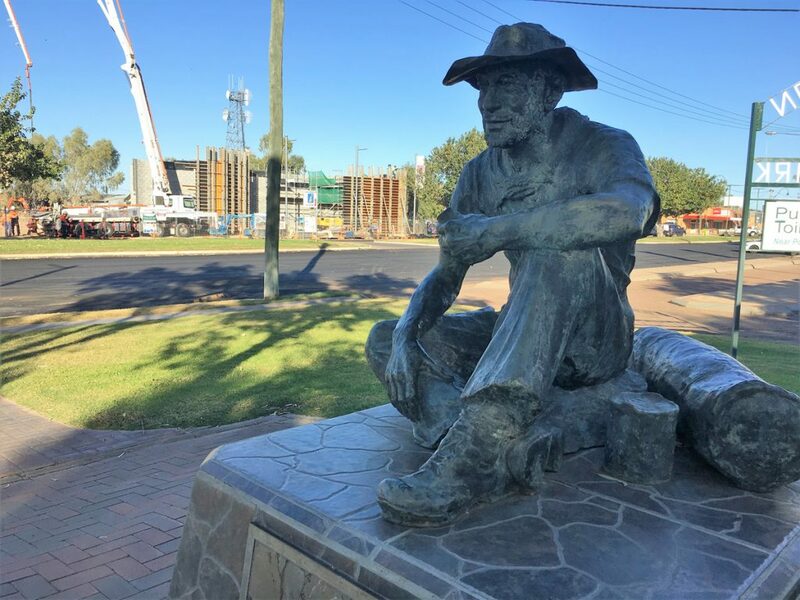 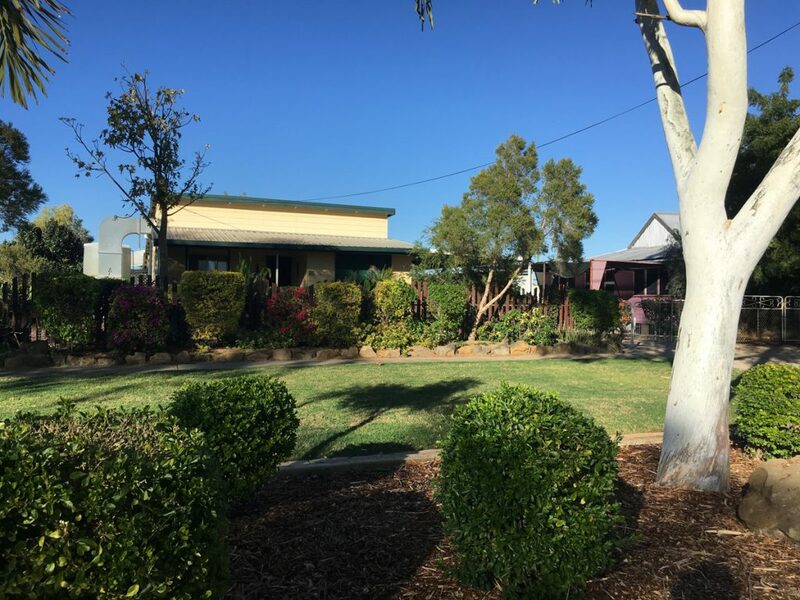 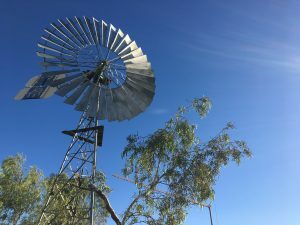 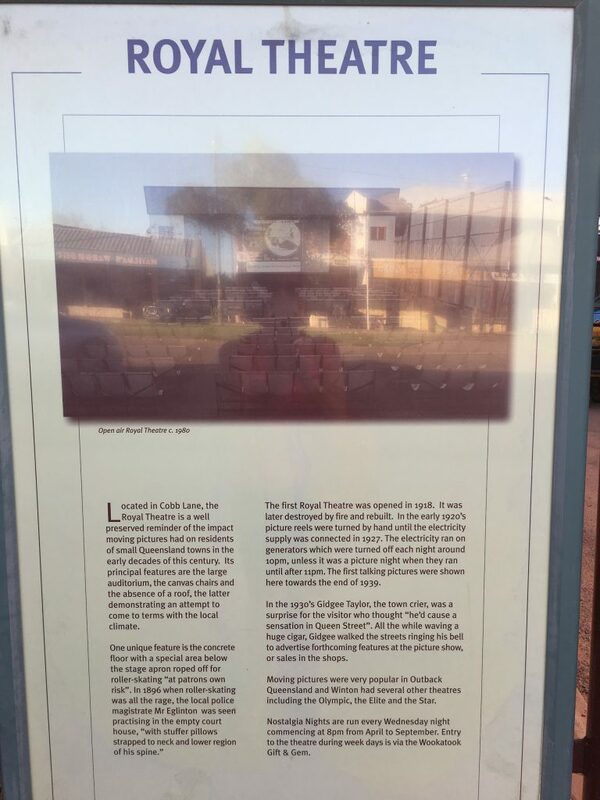 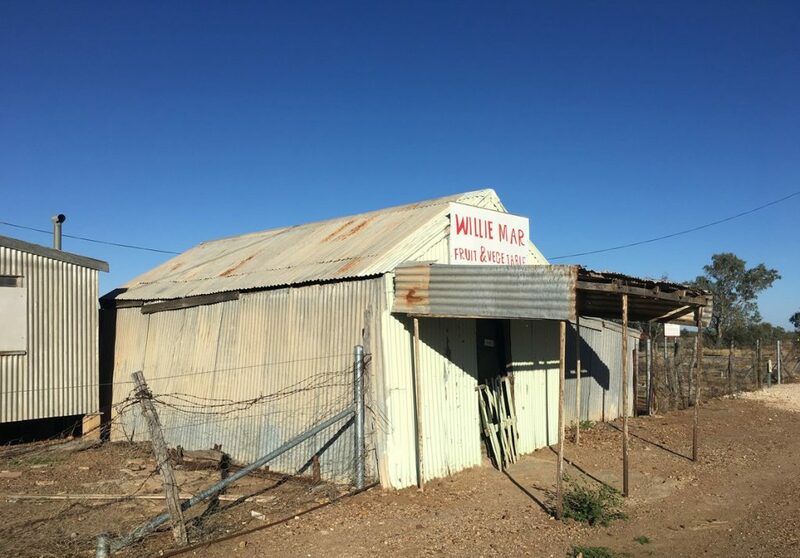 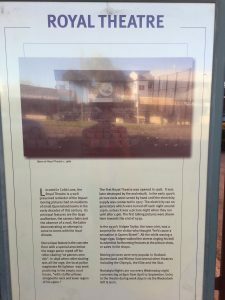 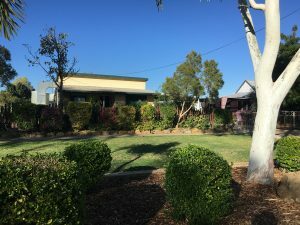 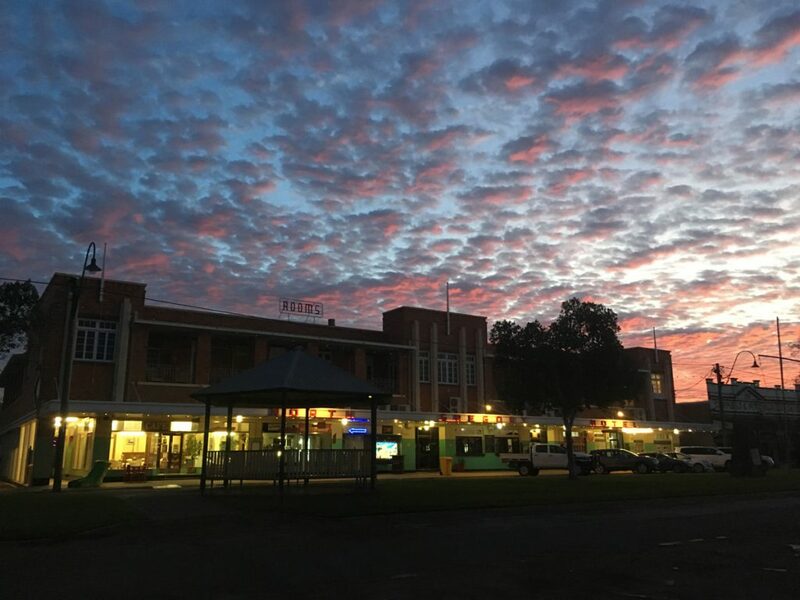 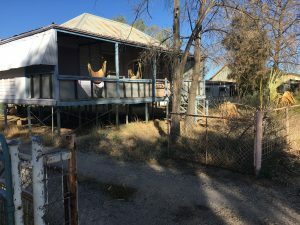 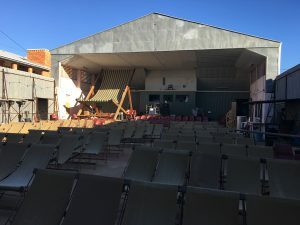 Poignant reminder of the past … Willie Mar’s Fruit and Vegetable Shop and Market Garden was the longest operating Chinese market garden and shop left remaining on the edge of any Western Queensland town. 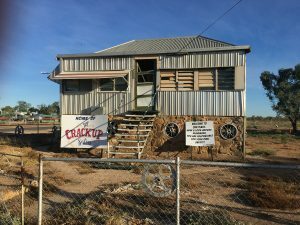 Winton is home to the priceless Crackup sisters. 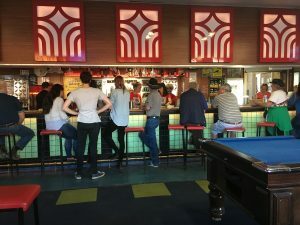 They're such celebrities now, they're not often home, but Google them for their tour diary. 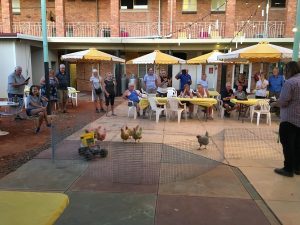 Others put a little more feeling into it. 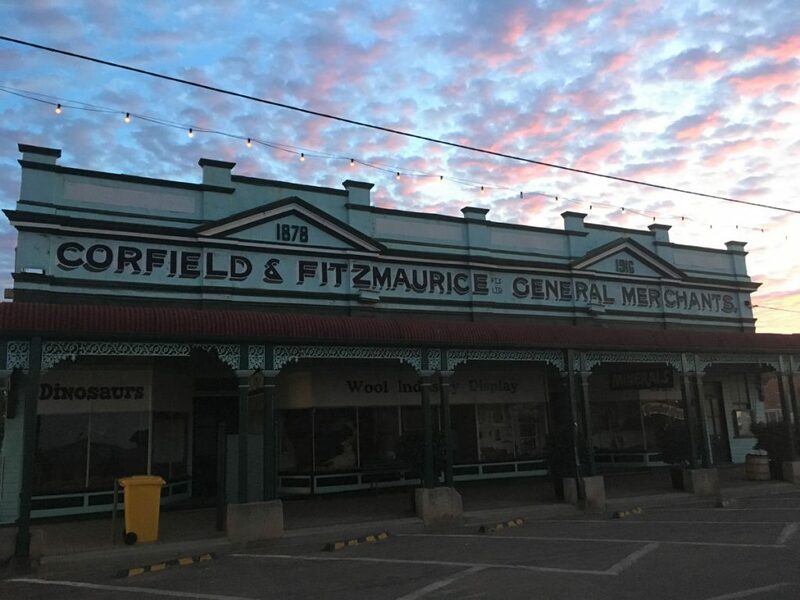 Now heritage listed, the magnificent Corfield and Fitzmaurice general store opened its doors in 1878 and served the region proudly for the next 109 years. 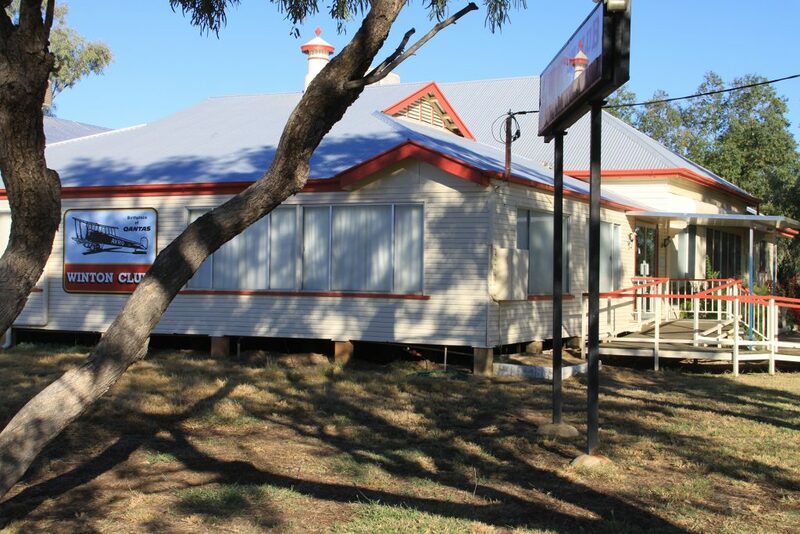 Winton's other historic show-pony - the fabulous North Gregory pub. 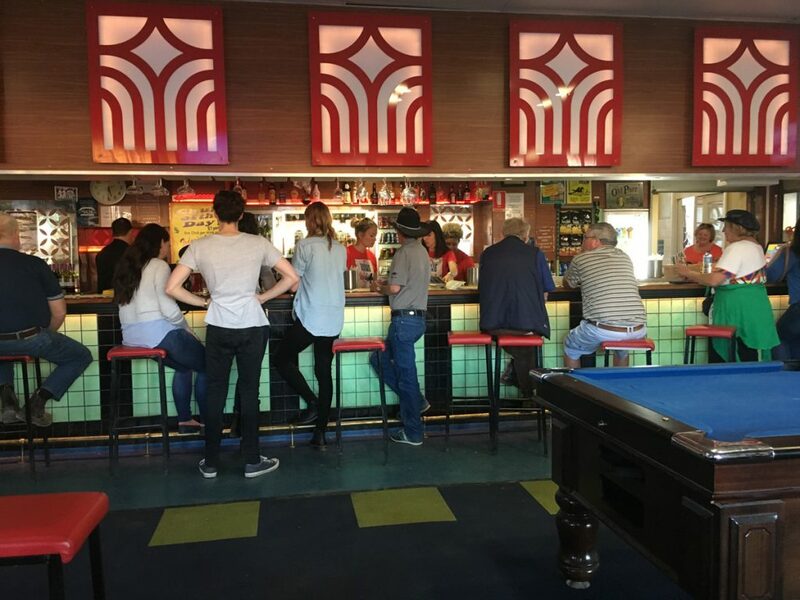 Inside the North Gregory, art deco rules. 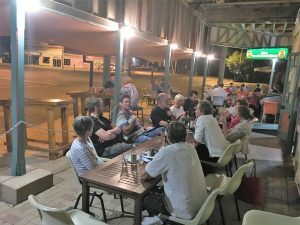 OK, so then wander out to the beer garden at around 5pm. 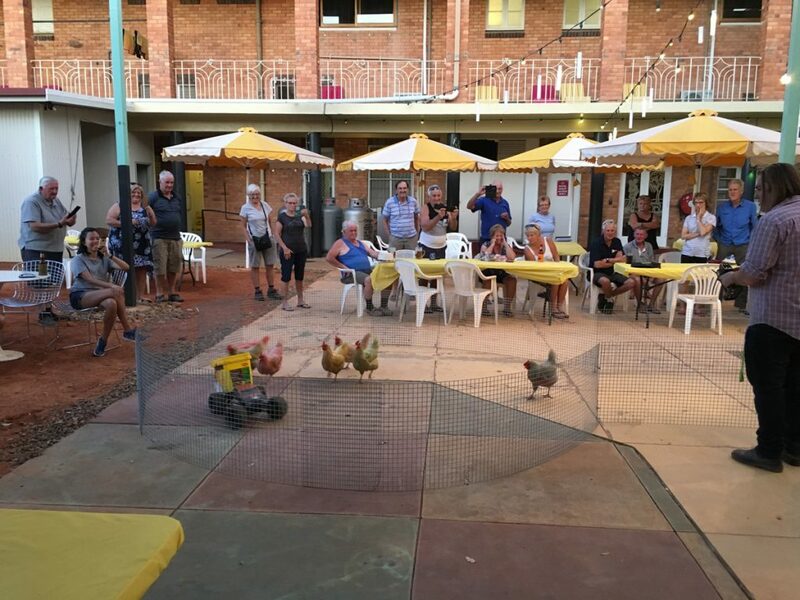 It's time for the nightly chicken races. And here are the starters. 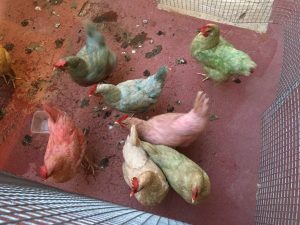 You just pick your colour, thrown your bet on, and spend the next ten minutes in hysterics. 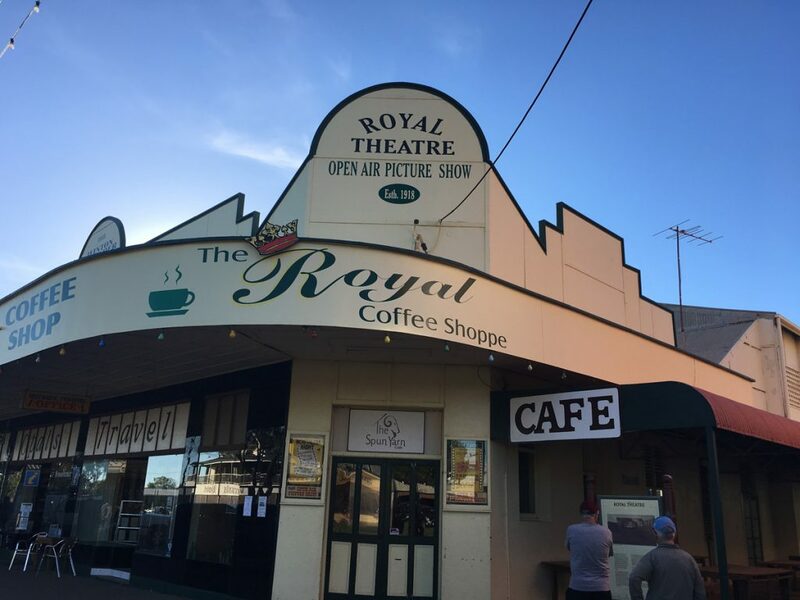 Headquarters of the fabulous annual Vision Splendid outback film festival, you've got to visit the Royal Theatre. Home of the world's biggest deck chair. 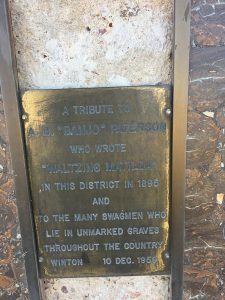 Take some time to absorb the history while you're here. 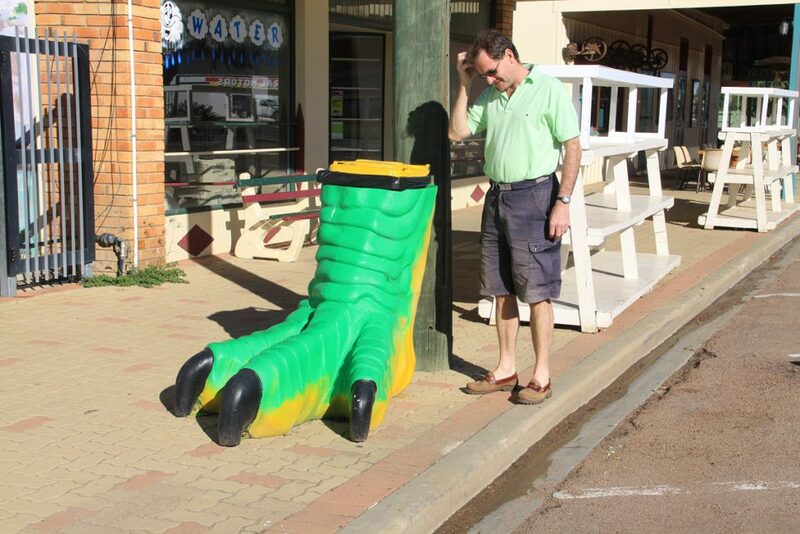 You have to stop asking questions in Winton. 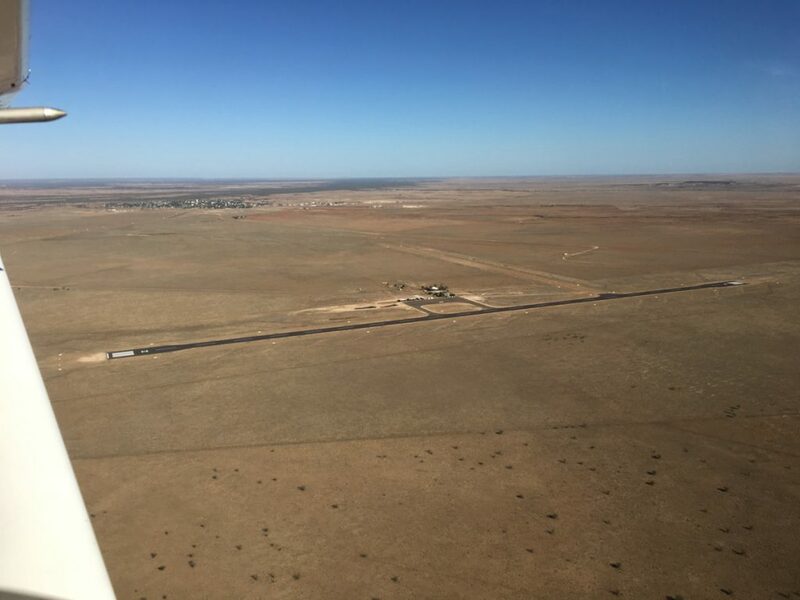 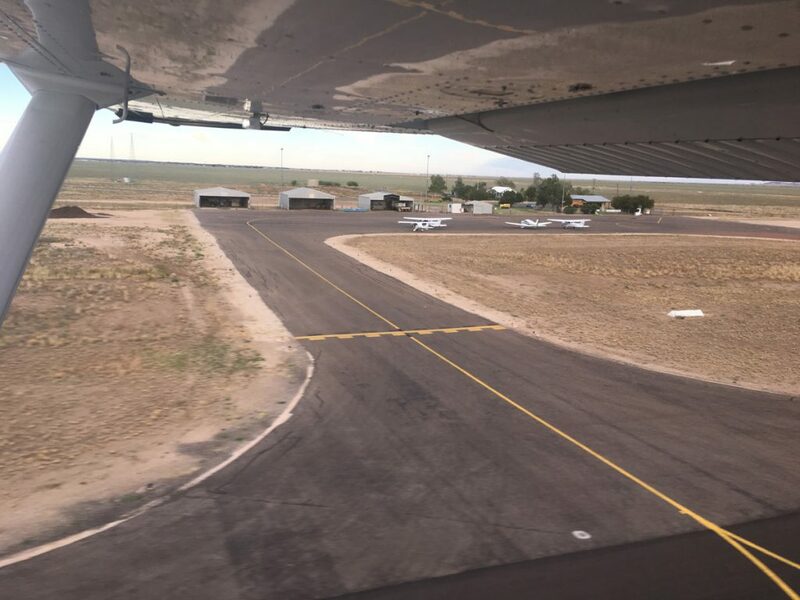 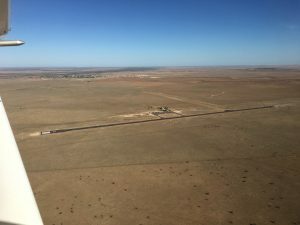 Copyright 2017 Flying The Outback.